Our unique Any Screen Advertising Platform can deliver video and rich-media ads to over 15,000 different mobile devices. AdSpruce’s proprietary ad delivery platform enables you to target and reach a more diverse and unique audience with your marketing message. The AdSpruce proprietary video streaming platform maximises video quality on any size screen and at all network speeds. AdSpruce is a premium video advertising network providing unique technology solutions for the mobile advertising industry. From our proprietary VAST-compatible tracking across all mobile devices to our mobile web ADK, AdSpruce offers a range of industry-first technologies for advertisers and publishers alike. Mobile video ads and monetisation are no longer restricted to smartphones or apps. Our unique mobile web ADK allows publishers to monetise any mobile website through a range of video advertising spots. Now for the first time ever, content owners and publishers can monetise any mobile device (including feature phones) on the mobile web through VAST-trackable video ads. With AdSpruce, publishers can monetise their increasingly mobile audience and advertisers can access a whole new market. Our unique technology solutions can track and click-enable advertising inventory on any mobile device. We can track numerous events (impressions, plays, quartiles, completion etc) and also allow you to add your own tracking URL and receive real-time tracking data. With AdSpruce you know exactly who your audience is. 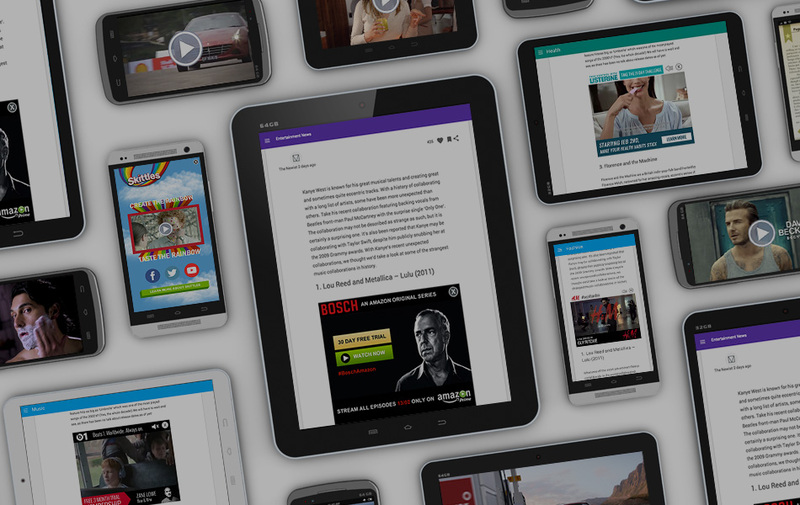 AdSpruce delivers high-quality, interactive video ads to more devices than any other ad network on the mobile web. AdSpruce is the leading programmatic video advertising Supply Side Platform (SSP) on the mobile web dedicated to helping publishers maximize the value of their inventory through high-performance video ad formats and direct sales to brands and agencies. Our ad server can deliver video to more devices than anyone else and we own our whole technology stack enabling us to deliver industry-leading ad experiences, targeting, tracking, security and ad spot controls to customers. We have detected that you are currently running an ad blocker. We will NOT show you any adverts on this site, however, ad blockers will block certain parts of this website and it will therefore not run as intended. Please turn off your ad blocker, or disable it for this website, and then refresh the page to continue using the AdSpruce website.